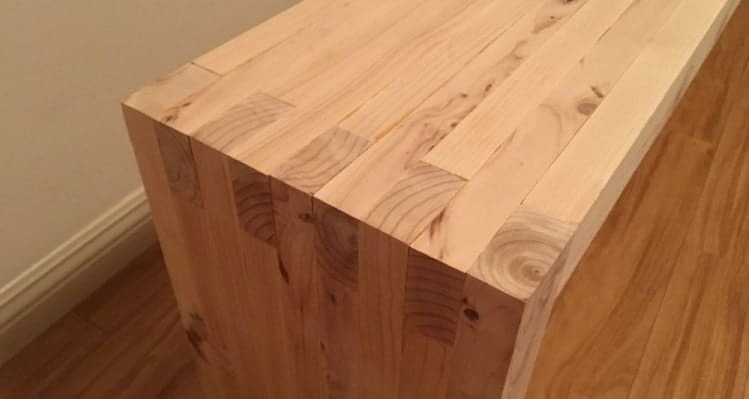 The box joint is a go-to option that all woodworkers gravitate towards for some project or another. It is a great way of joining two pieces of wood. And while the dovetail joint is often seen as the superior choice, (classic, strong and beautiful are all adjectives that are thrown about in reference to it), pulling out a dove tail is not always practical. You example, you could easily be working with plywood on a job. Anyone that has attempted a dovetail on this material will tell you how tricky it can be. There is always a risk of delaminating the plywood as you carry out the cuts. Dovetail joints require much harder materials to work well. There is also the simple scenario where you do not have the necessary equipment to make the dovetail. The required jig and router may not be at hand. To spend the time to hand-saw quality dovetail joints takes real commitment, again not all projects demand that level of detail. For all of these reasons and more, a good box joint will fit the bill. As you can see from the picture above, the box joint is very similar in style to the classic dovetail. The overriding difference is the shape of the fingers. On a dovetail joint the fingers are made, well, in the shape of dovetails. On the box joint, the all important fingers are a much simpler to cut rectangle shape. 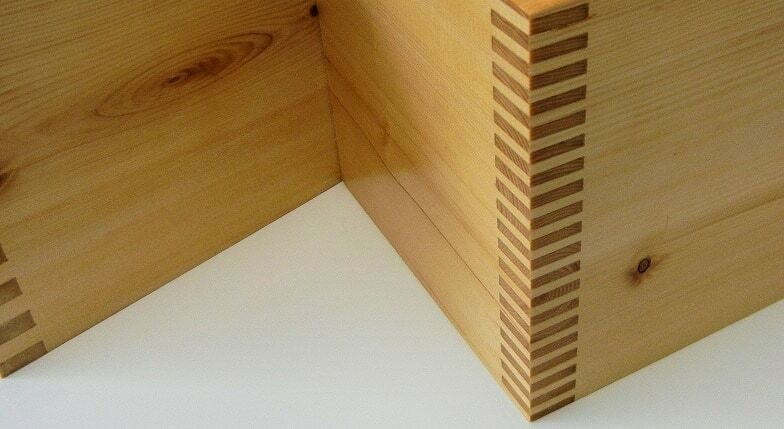 Because of this simplicity, there are a number of ways you can go about creating a box joint. Going right back to basics with the manual method, a regular dovetail saw and wood chisel will suffice. With the correct measurements you will be able to create a tight fitting box joint. This method takes time and experience however. 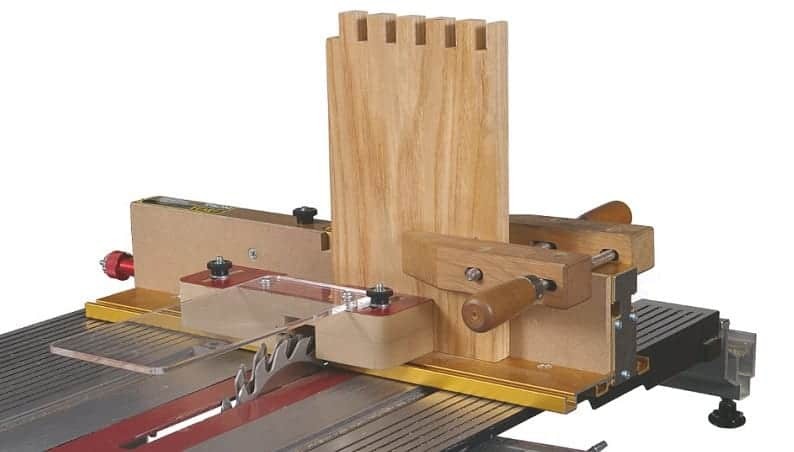 The most popular way to cut a box joint is the table saw, box joint jig and stacked dado set. (You can check out our reviews on a selection of top rated jigs here). The jig will help you determine the dimensions and will keep everything aligned. The dado (set to the desired width for each finger) will give you the uniform cuts. However, while that is the simplified version of cutting the box joint, let’s take a more detailed look at the process. One the material has been cut, it is time to assemble your wonderful box joint. First you should apply a thin layer of glue on all joint surfaces. Then, (if all goes to plan and the joint has been cut correctly) it is a simple job of slipping the fingers into the slots to fuse both pieces of material together. To hold everything in place as the glue drys you may also decide to clamp the material in position. Once complete you should have a strong and tidy joint that works for both the not often seen side of a project, as well as the ‘front of house’ pieces. And while it is clearly not as elegant as the dovetails, this is still very much a place for the versatile box joint.